2018 Topps U.S. Winter Olympics and Paralympics Team Hopefuls - Checklist Added	Overall rating:	0	out of 5 based on 0	reviews. 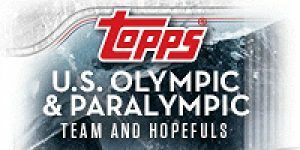 With the 2018 Winter Olympic Games in PyeongChang, South Korea set to begin, it should come as no surprise that Topps has released the checklist for 2018 Topps U.S. Winter Olympics and Paralympics Team Hopefuls. This product features likely members of the Team USA Olympic contingent, as well as past Olympic Champions. 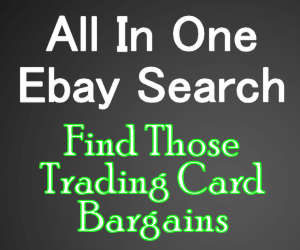 The product is a mix of base, inserts, memorabilia, and autographs. 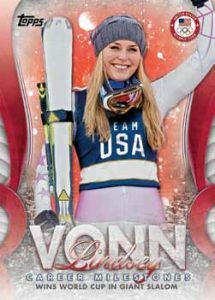 Each hobby format box will provide fans with 1 autograph and 2 memorabilia cards, as well as 2 inserts celebrating the momentous career of Skier Lindsey Vonn.